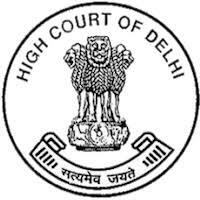 Delhi High Court Admit Card 2017 for Delhi Judicial Service Exam 2015 Viva Voice Call Letter: High Court of Delhi has released call letter for attending preliminary examination for the post of Delhi Judicial Service Exam 2015 Viva Voice Call Letter. Candidates who have applied for this post can download their call letter at below. Delhi High Court Admit Card 2017 for Jr Judicial Asst/ Restorer 2017 Written Exam (Prelims) Call Letter: High Court of Delhi has released call letter for attending preliminary examination for the post of Junior Judicial Assistant/ Restorer 2017. Candidates who have applied for this post can download their call letter at below.